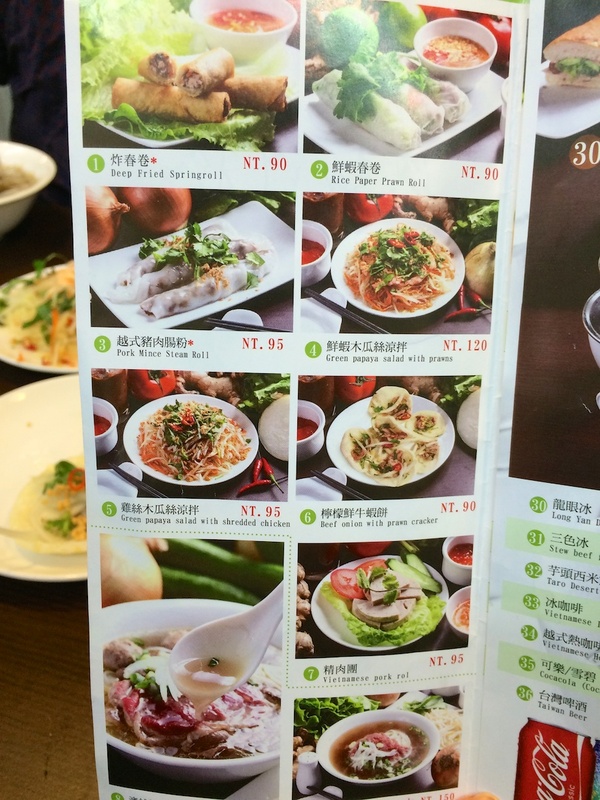 Pho Oz 澳越河粉 – Must Try! I found a little treasure, a Vietnamese treasure!!! 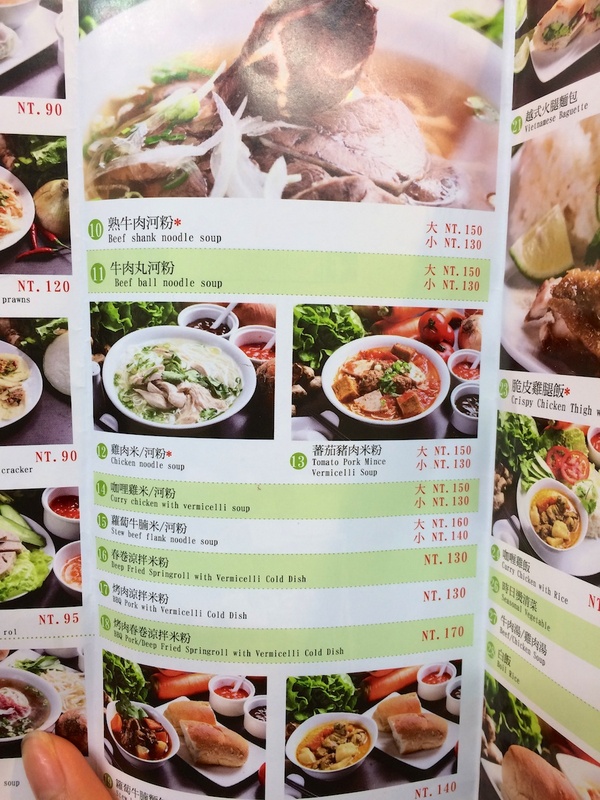 I’ve been looking far and wide for a really good Vietnamese restaurant here in Taiwan and after many attempts I have found one. 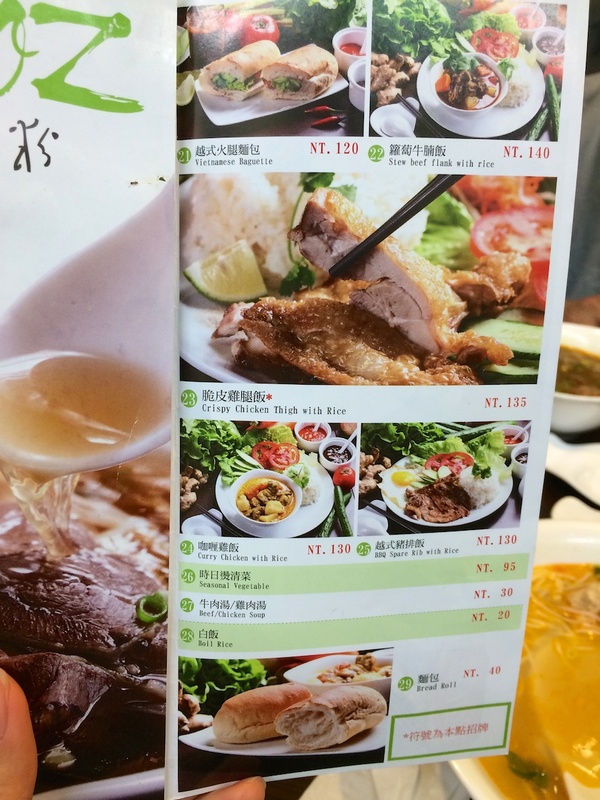 The flavors are very authentic tasting — the closest to American-style Vietnamese food here in Taipei. 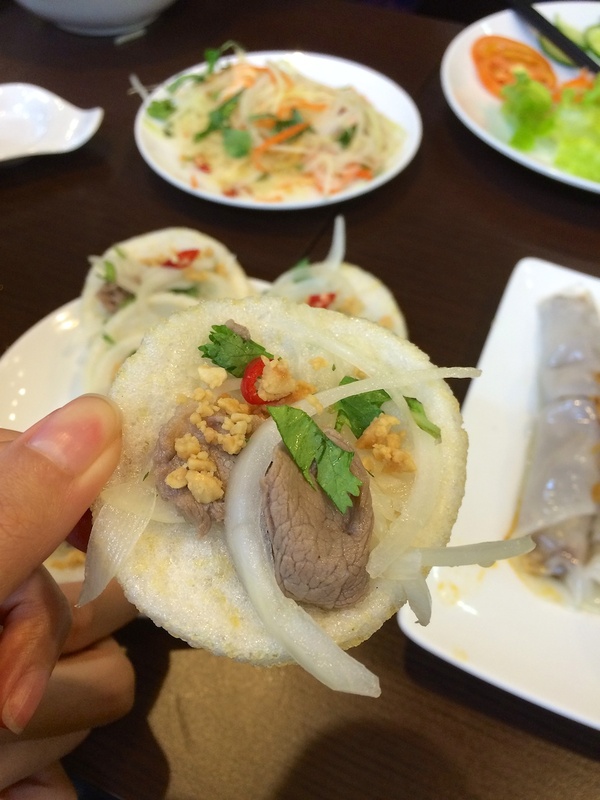 I know that sounds like an oxymoron — American-style Vietnamese — how can that be authentic? Well being half Vietnamese doesn’t automatically make me an expert, but I know the differences between a Vietnamese-styled and a Taiwanese-styled Vietnamese food. 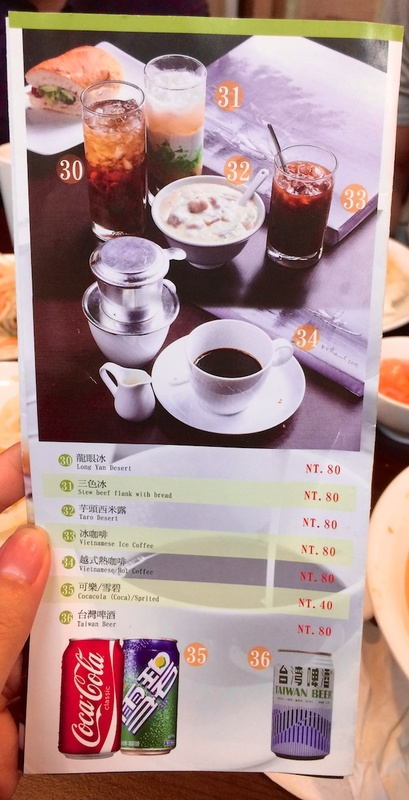 Here, the owner stayed true to the Vietnamese flavors (plus or minus influences from Australia where the owner is from) and didn’t adjust it for the Taiwanese tastes. 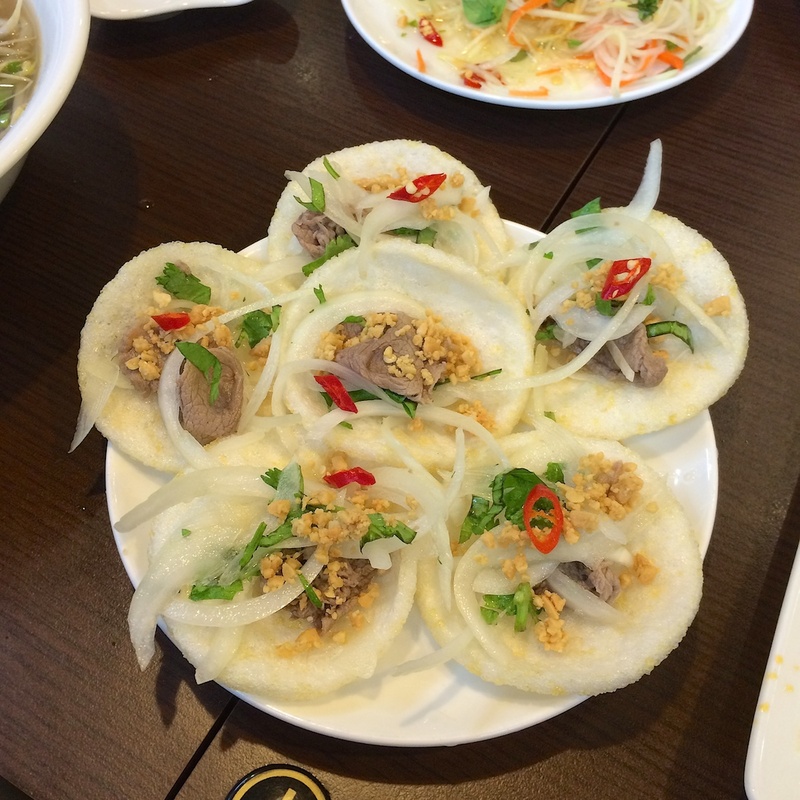 Also, the restaurant has a wide selection of dishes so it should accommodate almost every taste. 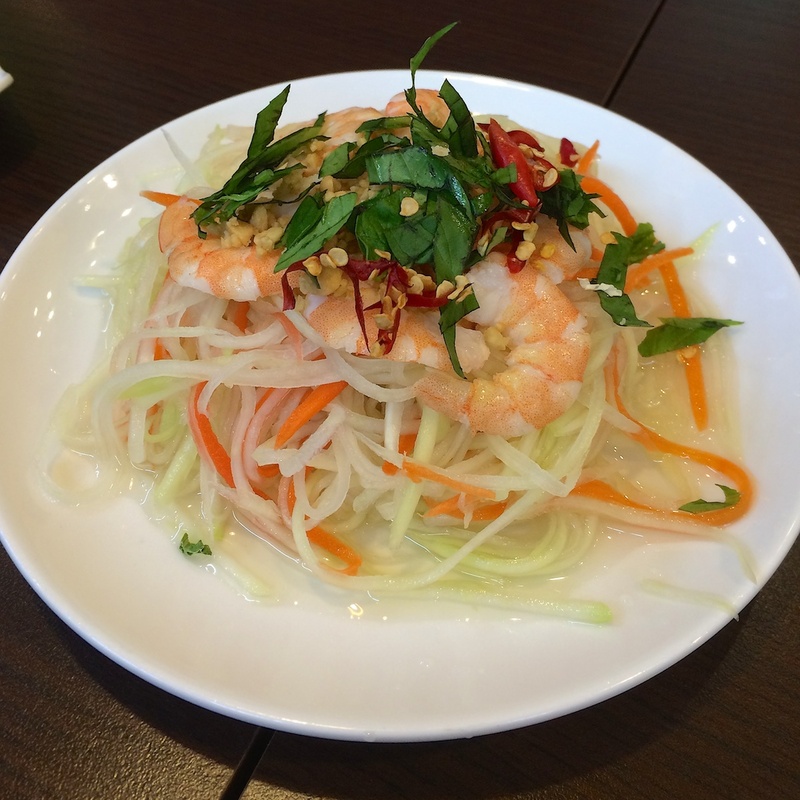 Shrimp Papaya Salad: The papaya and carrots are fresh and crunchy. Along with the fish sauce, I suggest adding a little of the chili sauce that you eat with pho on this — delicious! 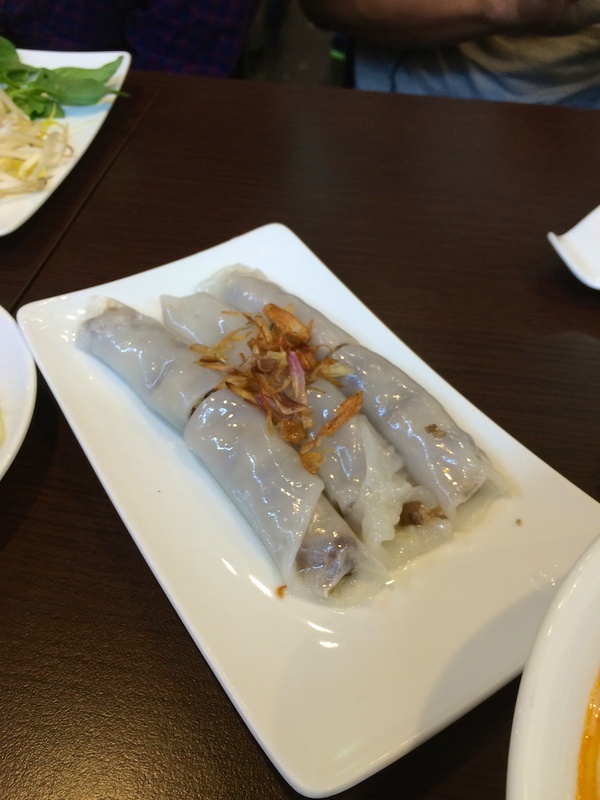 Minced Pork Steam Roll: The rice roll is thin and definitely made fresh to order. To me, this is the most authentic dish here because it instantly took me back to when I was young growing up in Vietnam and having this for breakfast in the market. Beef and Onion on Shrimp Cracker: My favorite dish! The beef is cooked in vinegar so it’s slightly tangy and it’s accompanied with pickled onions, fresh cilantros and a spritz of fish sauce. It’s topped off with a little bit of ground peanut. 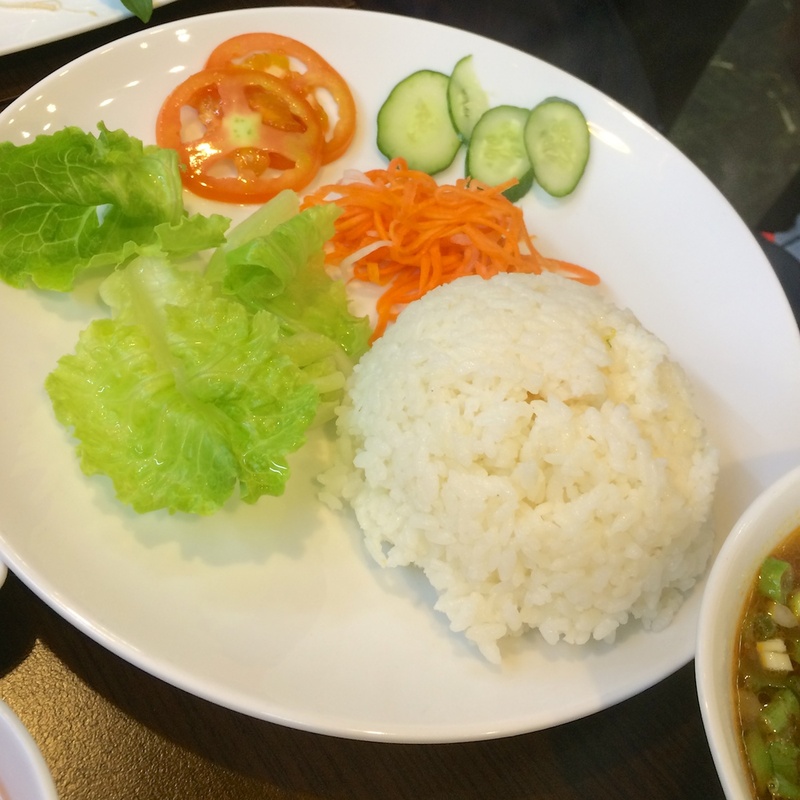 I’d say this dish is one of Vietnamese drinking snacks — A little bite of this and a little sip of Heineken. 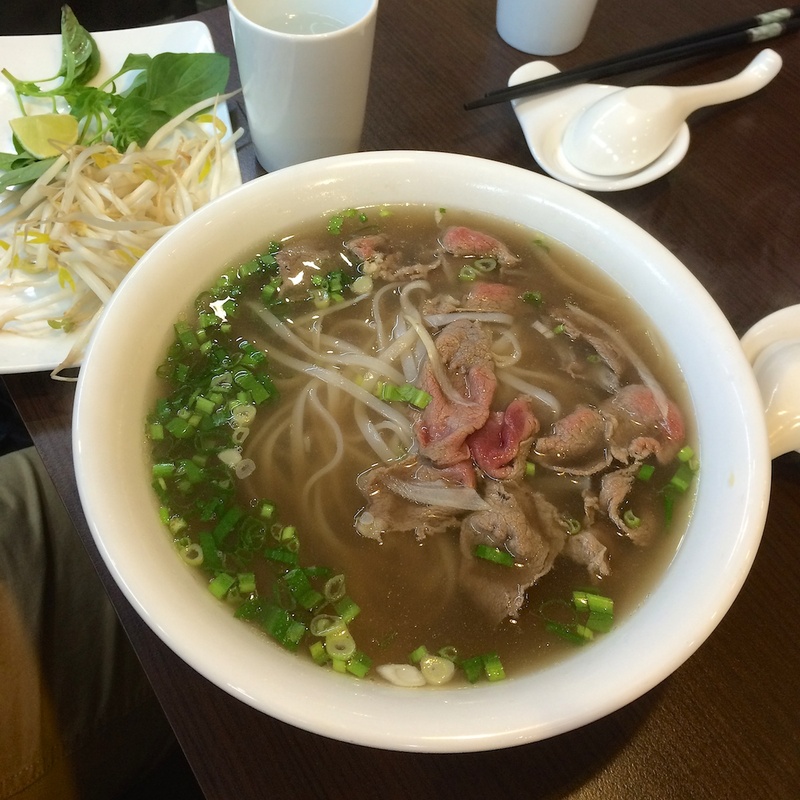 Beef Pho: The broth is deep and robust while the noodles are perfectly cooked. The beef is still slightly raw — all good signs of great pho! 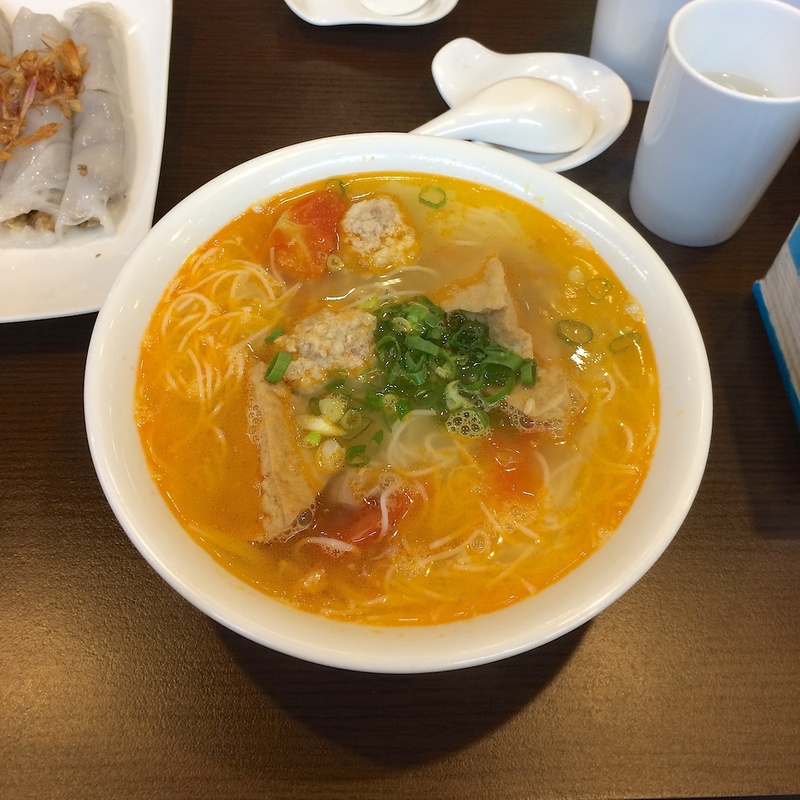 Tomato Minced Pork in Vermicelli Soup – a.k.a Bun Rieu: I’m surprised that they offered this dish here, since it’s not as common as pho — it’s more of a specialty dish. 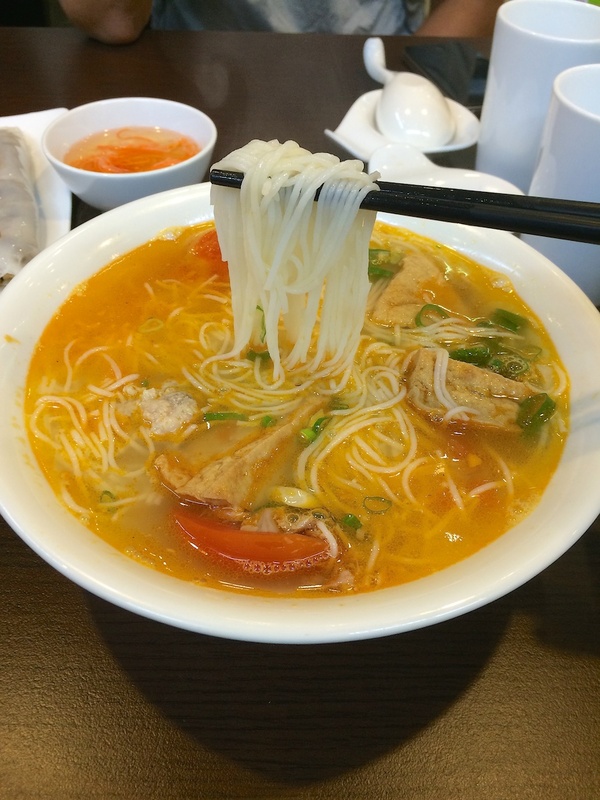 Although the flavors aren’t as potent as the true Bun Rieu, it’s darn close and still satisfying! Stew Beef Flank with Rice – a.k.a Bo Kho: This is the Vietnamese equivalent of Taiwanese Beef Noodle Soup. 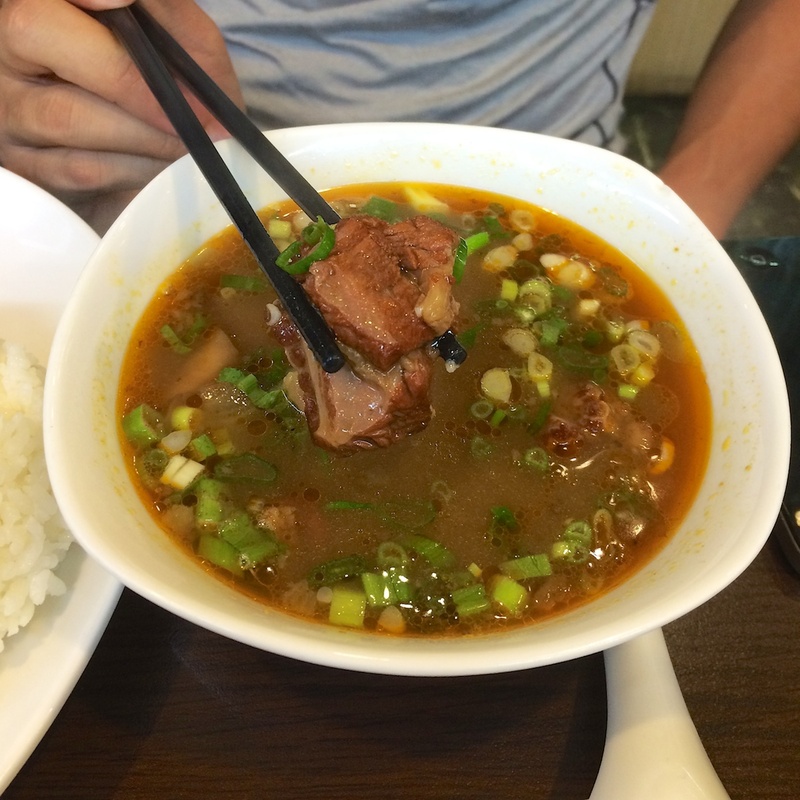 The broth is rich with a little bit of curry flavors and the beef is melt-in-you-mouth tender. This dish is traditionally eaten with french bread which you can order here, but you can order it with rice as well. Next PostNext Muteki Japanese Yakiniku 炭火燒肉 無敵 – Must Try!